Sony Pictures is planning a Men in Black spinoff franchise and there’s reason to be stoked about it. Earlier this month, it was announced F. Gary Gray was in talks to direct the spinoff feature. Now, Chris Hemsworth is in negotiations to star in the forthcoming film, which already has a script from Matt Holloway and Art Marcum (Iron Man). The original franchise, including three films total, grossed over $1.5 billion worldwide. The spinoff will see original trilogy producers Walter F. Parkes and Laurie MacDonald returning and Steven Spielberg executive producing. 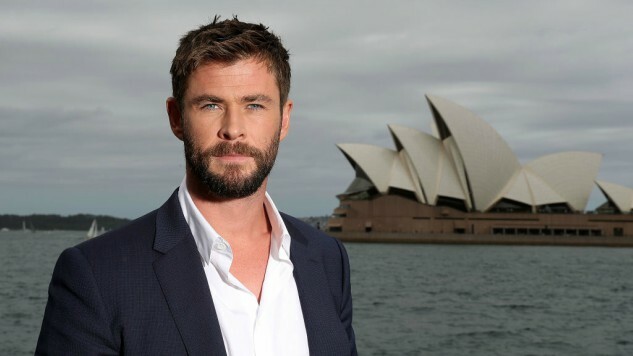 Hemsworth can most recently be seen in the Jerry Bruckheimer-produced 12 Strong and the forthcoming Avengers: Infinity War, whose trailer you can watch here. Gray recently directed The Fate of the Furious but is best known for his Oscar-nominated Straight Outta Compton and the Italian Job remake with Mark Wahlberg and Charlize Theron. The new Men in Black spinoff is slated for a June 14, 2019 release, so hopefully once casting is complete, it will be smooth sailing for this project.